While high-tech U.S. specialists fought, career soldier Archie Gates marked time in his Gulf War base camp. But now it's time for action. 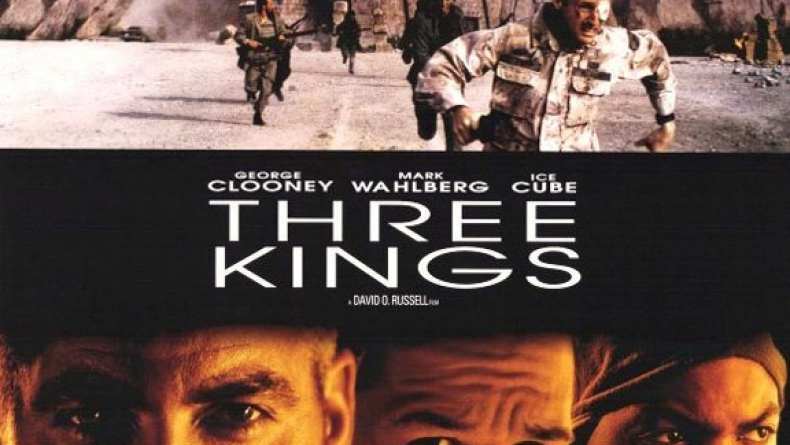 Gates and three other restless Americans decide to raid a bunker holding a stash of gold stolen by the Iraqi army. Get in, get out, get rich, be back in time for lunch: the plan couldn't be easier. George Clooney portrays Gates, Mark Wahlberg, Ice Cube and Spike Jonze are his fellow commandos and Nora Dunn plays an ambitious TV newswoman in this acclaimed film that by turns is a war movie, an antiwar movie, a surreal comedy and a powerful drama of human compassion -- all written and directed with exhilarating style by David O. Russell.